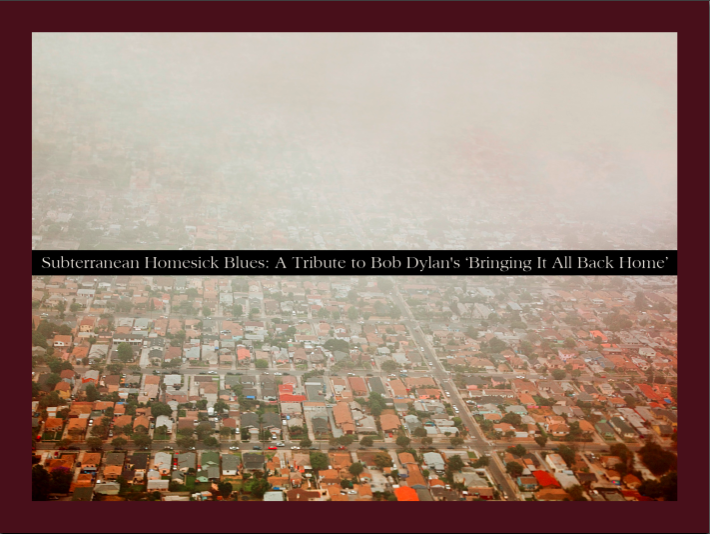 …with an EXCLUSIVE track from the newest Dylan tribute! You may not recognize the name Jim Sampas, but true-blue coverfans know his work: as the guiding light behind two of the decade’s strongest album-centered tribute albums – turn-of-the-century alt-country-to-popfolk Springsteen tribute Badlands and 2005 indie Beatles tribute This Bird Has Flown – the producer has made an unparalleled mark on the evolving world of coverage. Recently, Sampas started new label ReImagine Music as a vehicle for his ongoing pursuit of all things coverage, and his first solo project, Subterranean Homesick Blues: A Tribute to Bob Dylan’s ‘Bringing It All Back Home’, hit the ground running a few weeks ago with a bang, netting well-deserved, highly positive coverage in major print and web outlets from Rolling Stone and Paste to The Boston Globe and NPR. Thanks to Jim, I managed to get my paws on the album a few weeks before its release, and though I’ve noted it in passing here, I haven’t really given it its due. Instead, I’ve been biding my time, working with Jim behind the scenes to net permission to post an exclusive track for our readership, and – not incidentally – forging a mutual appreciation society along the way, built on our common tastes, a shared love of coverage, and our strong support for indiefolk and alt-country artists. Today, we present the fruits of that effort, and I think you’ll find that it’s been worth the wait. Because now, with both Jim and the Dylan folks fully on board, Cover Lay Down is proud as punch to present a close look at this stunning tribute and the artists it features, along with a track you’ll find nowhere else on the web. 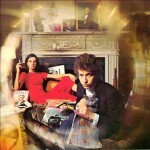 Covering Dylan well enough to spark a coverlover’s interest is tougher than it looks. Truly, I have more Dylan covers than any other; to stand out in the crowd, any album which attempts to take on the works of this generation’s most defining musical poet is going to have to hit hard, and stay long. Where the I’m Not There soundtrack – the second-most recent Dylan tribute on the market – aims for melodic success, the artists chosen for this October’s Subterranean Homesick Blues: A Tribute to Bob Dylan’s “Bringing It All Back Home” take risks, pushing the original tunes farther, exploring their potential in new and nuanced ways, and the strategy pays off handsomely. The resulting collection yaws wider than most tributes, but it also delves deeper, making for an exceptional album worthy of every name involved. The collection starts dark, with Peter Moren of Peter Bjorn and John taking on the tribute’s title track as a creaky, almost terrifying jaunt through dark Halloween streets. From there, it trends fluidly from technodreamy (The Castanets’ Maggie’s Farm; Asobi Sesku’s Bob Dylan’s 115th Dream) to majestic stripped-down singer-songwriter alt-country and indiefolk (Helio Sequence’s Mr. Tambourine Man, Sholi’s It’s All Over Now, Baby Blue), covering a full range of sunny-but-ragged retropop (Julie Doiron’s On The Road Again, DM Stith’s mariachi-tinged Gates of Eden), frantic alt-countrypunk (Franz Nicholay’s busy banjo-driven It’s Alright Ma), and more haunting, atmospheric songcraft (Mirah’s Love Minus Zero, Ane Brun’s slow, oddly synthesized She Belongs To Me, the etherial harmonies of The Morning Benders’ Outlaw Blues) along the way. But although the 11 songs which Dylan originally selected for his seminal album make for a fine ride, as others have noted, it’s the bonus tracks here which will most effectively tempt the average folkfan. Five songs, from J. Tillman’s heartbreakingly slow alt-country ballad If You Gotta Go, Go Now to stunning treatments from Laura Viers and William Fitzsimmons, cap off the sequence; taken as an EP extra, the short set is quite possibly the best tribute album to come down the pike all year. And if you purchase from iTunes, you’ll find it followed by another trio of tunes, an iTunes exclusive set featuring tracks from Matthew Ryan, Graham Parker, and Bill Janovitz, which bring gravitas and grace to Forever Young, License To Kill, and Boots of Spanish Leather – making nineteen in all, and nary a dud among them. The winding path makes for an exquisite journey, chock full of potent musicianship and transformative revisioning. These are artists I love, many of them at the top of their form as both interpreters and performers. And though I recognize the strong temptation to pick and choose from digital albums, the ebb and flow sequence is strong enough to recommend picking up the whole set. And the track order is inspired, though it’s less important in a digital release; being a folkfan, I especially like the run in the middle of the album from Mirah to Doiron, and then at the end from Witmer to Fitzsimmons. But notably – and exceptionally rare, for a tribute album of this scope – even the songs I like least are worth listening to more than once. There’s an interesting urgency in Mr. Tamborine Man that I’ve never heard tried before – it’s quite evocative. And the way the Ane Brun cover slowly coalesces out of the disparate organ and tape hiss beat atmosphere is beautiful, though it’s not her best work by a long shot. Sampas let me pick from the lot to feature here, and it speaks to the overall success of the set that selecting just one was an agonizing choice. The Morning Benders leaked Outlaw Blues early in October, free to download in return for the usual email address; I had high hopes to share the Fitzsimmons hushed version of Farewell Angelina, but it’s selling well, as it should, and I have no desire to undermine sales for this album. I almost went for the Viers at the last minute, too, and highly recommend the Mirah and J. Tillman tracks, especially, for those whose tastes trend towards the acoustic. But truly, though there’s so many sensational tracks on this tribute, I’m thrilled to be given the choice to present the album’s sweet take on I’ll Keep It With Mine, one of my favorite Dylan compositions. Denison Witmer’s ringing, maudlin tones are transformative – perhaps in a more subtle manner than some others on the album, but subtle is an easily overlooked virtue in the world of coverage. 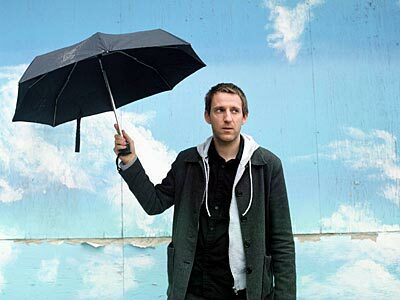 And Cover Lay Down shares a special bond with Witmer, continuing to serve as the only artist-authorized place on the web where you can find his five-song set of lo-fi folk covers produced to help promote 2008 release Carry The Weight. So here’s our exclusive teaser, plus that free download of Outlaw Blues, in hopes that you, too, will follow its path to both album and artists. Enjoy, and remember: you heard it here first. Looking for more? I was tempted to follow this week’s exclusive track with a set of more Dylan coverage, but truly, this album is as much about the artists, and the producer and label-owner, who have come to the table with vision as it is about the songs themselves. So here’s a split list: some earlier covers from more artists featured on Subterranean Homesick Blues, followed by a bonus triplet of tasteful and tasty favorites from Sampas’ previous projects. Cover Lay Down presents new coverfolk features and songsets twice weekly. So bookmark us, or add us to your feedreader, to keep tabs on the world of coverfolk – what’s new, what’s worth revisiting, and what’s coming down the pike – including future notice of ReImagine Music’s next project, an alt-country tribute to the Rolling Stones starring Great Lake Swimmers, Cowboy Junkies, Handsome Family and more! Our partnership with Philadelphia singer-songwriter Denison Witmer bears more wonderful fruit today: Denison has sent along a cover of Is There A Ghost, the lead track from Band of Horses release Cease to Begin and, according to Rolling Stone, one of the 100 Best Songs of 2007, and I’m happy to report that this newest coversong is already stuck in my head. Denison’s take on Is There A Ghost is a strong addition to a growing collection of solo acoustic covers, all of which can be heard below. But where the other recordings in Denison’s cover series have generally been immersive, establishing a tone and inhabiting it, the highly repetitive lyrics of the song here work against such a singular approach. The language of the original is in its delivery, most especially the chilly echoing shoegaze atmosphere, and the way it downshifts into its long, driving, anthemic peak just before the song’s midpoint. Denison’s take on the song is powerfully atmospheric, too. But given his deliberate, stripped-down approach to covers, this is a very different atmosphere. 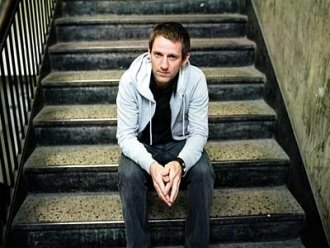 The cover starts ragged, lo-fi and low key, as if just awakened; it is very much of a set with the earlier songs he has recorded for this project, though warmer and lusher in tone from the very first moment. Instead of being split in two, it coalesces slowly over the first verse, the sound becoming first richer, then building energy over the last few measures before fading away. By taking on a subtle, acoustic reflection of the original’s pacing and energy, starting farther back, and working within a much more focused range of emotional build, Denison creates a wonderful warmth without losing the tension which makes this song work in the first place. In the end, we are left with a perfect fragment, a short, almost tender study in exhausted hope and acceptance. If the point here is to get us excited about the impending album, it’s working. 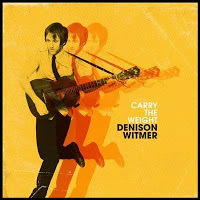 New Denison Witmer album Carry the Weight drops on November 11th; the first single, Beautiful Boys and Girls, is already available in digital form. 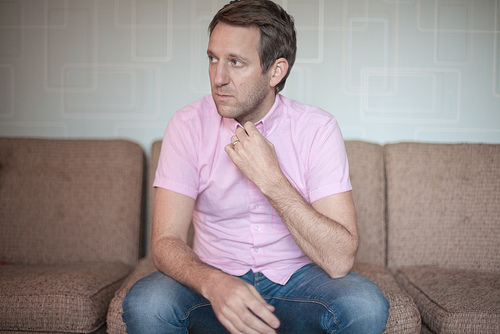 …and Tyler Ramsey does a languid alt-folk These Days, too. We’ll be back next weekend with another installment of the Denison Witmer Covers Project. Coming up Sunday: our Covered in Kidfolk series triumphantly returns with a set of songs about movement. A few weeks ago, I wrote that Denison Witmer would be releasing a new homebrewed coversong each Friday leading up to the November 11th release of his impending album Carry The Weight. Sadly, last week’s change-over in the way MySpace manages music had some glitches, and Denison had to take a week off. Since then, MySpace seems to have resolved their technical difficulties, but their new system remains a bit unwieldy, especially for those who are not interested in navigating a rigamarole of sign-ups and upgrades in flash-based interfaces merely to download songs that an artist is trying to give away. Happily, there’s a better way. And Cover Lay Down is proud to be a part of it. See, I’m a cover hound, and a relatively new fan; the idea that Denison’s newest cover might be ready to go, but was being withheld for purely technical reasons, was a total tease. So on a whim, I wrote to Denison’s management (via MySpace, ironically), and I offered this blog as a project partner. To my surprise, Denison and his manager seemed to like the idea, and they contacted me in advance of this weeks release. Now, in partnership with Denison Witmer, we are proud to announce that for the remainder of the Denison Witmer Covers Project, Cover Lay Down will be offering Denison’s newest cover each week, as it comes out. The songs will go up simultaneously on Denison’s MySpace, or at least within the same hour or so; there’s other great content there, too, but those who prefer to skip the whole MySpace thing can just head over here to download the songs stress-free. In addition, we will be maintaining the entire list of covers as it grows, so that those just learning about the covers project can catch up on the entire set, which — if you’re just joining us — already includes beautifully sparse “bedroom covers” of Bonnie Raitt, Red House Painters, and Oasis. We kick things off with another stellar track. This week’s brand new cover is a gorgeously delicate rendition of Van Morrison’s Comfort You, originally released on the critically underrated album Veedon Fleece in 1974; Denison says it’s been one of his favorite songs since he first heard it nine or ten years ago. Like Denison’s other recent covers, this version strips the production away, reimagining what was once a majestic, mildly hypnotic, lightly countrified blues rock ballad as a much more intimate acoustic performance, one that evokes the barebones, smallstage coffehouse sound of Nick Drake and Elliott Smith. The song is a great choice for the series, with simple, yearning lyrics delivered with a perfectly ragged note of emotional depth; it’s fascinating to me how well Denison manages to strip away the production elements yet simultaneously grant the song such a powerful sense of urgency. The recording is lo-fi but rewarding; the vocals are set so far forward from the guitar, it could just as easily come from a lover’s bedside. 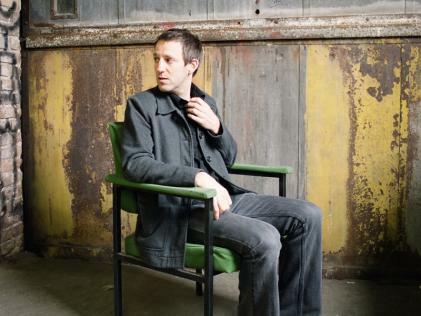 Take a listen, check out our original Denison Witmer feature for more Denison covers, and then head over to Denison’s MySpace to find purchase links, and read more about the backstory behind Denison’s relationship with each song and songwriter. 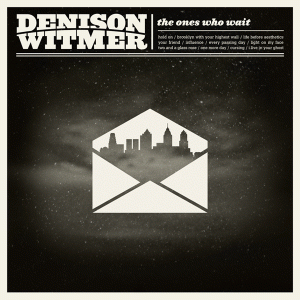 We’ll be back next weekend with another installment of the Denison Witmer Covers Project. In the meantime, the forecast calls for coverfolk. Cover Lay Down posts new features every Sundays, Wednesdays, and the occasional otherday. Coming soon: a return to our Single Song Sunday series, tributes to the songs of more great groups and songwriters, and a belated set of brand new coverfolk tracks from some younger faces.